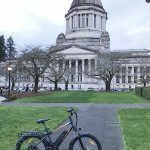 « Olympia Update: E-bike legislation has passed the legislature! 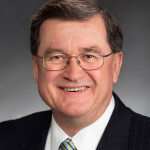 March 8 marked the close of 60 day legislative session, Washington Bikes’ saw success with its entire legislative agenda. Read on for the details! 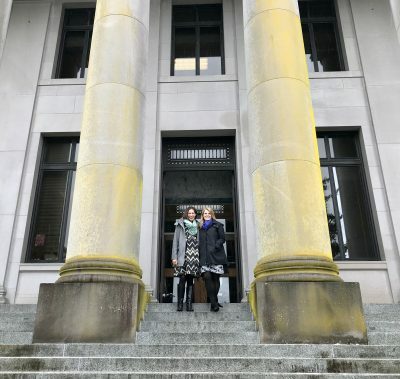 Washington Bikes’ legislative team, state policy director, Alex Alston and contract lobbyist, Erin Dziedzic. It’s the close of a fast and furious 60 day legislative session. The new fully Democratic majority in the legislature made for an incredible amount of legislation being introduced and working its way through the legislative process. The pace was markedly different than a typical second year of a biennium legislative session. More funding for trails and bicycle and pedestrian infrastructure, leading to more connected and safe spaces for people who bike. An update to e-bike laws ensuring that there is clarity around this exciting new technology while breaking down bicycling barriers for new and different types of riders. Lastly, further understanding what bicycling can mean to the local economies of Washington state’s trail communities. Washington Bikes is grateful to the legislative champions who helped make these wins possible. Washington Bikes led a broad coalition of voices in support of updating e-bike laws. E-bike owners and riders, retailers and manufacturers, local jurisdictions and more weighed in to support the new legislation. 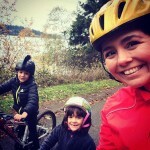 Washington Bikes is excited about the rise in e-bike ridership because it’s bringing new people to the joy of bicycling. We heard this echoed through testimony before the legislature, e-bikes make bike riding possible and fun for families on bikes, older adults and people with disabilities. Our sincere thanks to Senator Rolfes (23rd LD, Bainbridge Island), Representative Kilduff (28th LD, University Place) and Senator Nelson (34th LD, Maury Island) for their leadership in making this bill a reality in 60 days. The bill (SB 6434) passed with broad bipartisan support and has been sent to the Governor’s desk for signature. Beginning in 2017, Washington Bikes along with public agency and business partners, and the non-profit Eastside Greenway Alliance partnership, worked to secure investment in the Eastside Rail Corridor (ERC), this funding is part of a larger public/private funding package for the Wilburton Trestle. The Wilburton Trestle in Bellevue, which will create an important connection on the ERC was funded at $2.5 million in the 2017-19 Transportation budget. In week two of the 2018 legislative session the legislature passed the overdue biennial Capital budget which funded the Wilburton Trestle at $500,000, this brings total investment for the 2017-19 biennium to $3 million. Additionally, with the passage of the $4 billion Capital budget an $80 million investment in the Washington Wildlife and Recreation Program (WWRP) was enacted. The WWRP includes projects that will improve outdoor recreation opportunities, trail development and enhancement of state parks. WIthin the $80 million WWRP is $13 million for trails throughout Washington state! Washington Bikes and Washington Trails Association advocated for funding of a study to be conducted by the Recreation and Conservation Office to quantify the bicycle and hiking tourism industry and the health benefits from these forms of active recreation and transportation. This deeper dive, building on the 2015 outdoor recreation study will provide new strategies for health cost savings and grow our state’s economy, particularly in rural areas. The $125,000 study was funded in the 2018 supplemental operating budget. Our thanks to Senator Van De Wege (24th LD, Sequim), Representatives Chapman (24th LD, Port Angeles) and Barkis (2nd LD, Olympia) for championing the study throughout the 2017-19 biennium. The Washington Bikes legislative team has had a fun session working hard on behalf of better bicycling statewide. This work doesn’t happen without you. Make a donation today to support the legislative work that made these priorities possible!